Finland’s system of startup visas may be creating a two-tier system that favours techies, says immigrant entrepreneurship coordinator Kaisu Keisala-Kaseja. Kaisu Keisala-Kaseja, who was recently appointed by the Federation of Finnish Enterprises to help mentor immigrants in business, told Yle News on Friday that many migrants are looking for advice on how to get residence permits in a bid to set up their own companies in Finland. She said that a startup visa scheme that the government launched in April targets a very specific type of entrepreneur. “The problem here is that it’s for the startups. It’s for the IT people, for the new really cool unicorns or how they are termed. It’s only helping a very small group of entrepreneurs,” the coordinator said. She noted that the programme does not appear to target regular small or micro enterprises that do not operate in the technology sector. "It’s making even a two-class society; it’s those who get a specific visa faster and those who need to wait very long," she declared. "And actually the normal businesses could be more productive for Finnish society because those startups, they – many times fail," she concluded. According to the government, the startup visa aims to attract new entrepreneurial activity into the country and to put Finland on a steady footing to compete internationally for innovative growth firms. Applicants wishing to acquire the entrepreneurs’ residence permit will need to get a favourable business assessment from the Business Finland innovation centre, previously known as Tekes, the state research funding agency. Once the evaluation has been granted, applicants must then file a residence permit application with Migri, which will review issues such as projected income and the general grounds for granting the permit. Business Finland cautioned that not just any business idea will receive a favourable assessment. Start-ups will have to show that they have the potential to generate rapid growth in international markets. They must also prove that they have a monthly income of about 1,000 euros. Alternatively, the applicants’ bank account must have adequate funds to support a two-year stay – the maximum duration of an initial permit. Keisala-Kaseja said that applicants would likely have difficulty meeting other requirements of the startup visa, such as contracts with customers or collaboration partners. 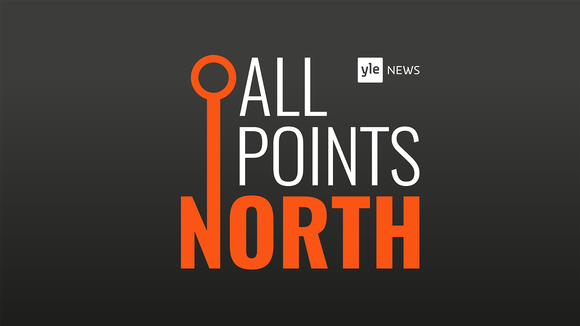 Keisala-Kaseja joined entrepreneur Edem Agbekey-Taylor, creator of the Inkuto brand of beauty products, for a discussion on immigrants and entrepreneurship in Finland on Yle News' All Points North podcast.